A stunning innovation, sweet Taiwanese cantaloupe filled with 'red' Formosa oolong then dried. Worth vintaging if you can. A tea master we visited in Nantou, Taiwan, invented this lovely tea from locally grown cantaloupe melon which he has hollowed out and filled with a dark, fruity ‘red oolong’ that his family has specialised in making for three generations (the grandfather, we like to think, of our Lishan Oolong nuggets). The melon has then been very skilfully roasted over a slow heat to remove the skin’s moisture and allow the glucose and pectin to merge, making for a wonderful aroma and sweetness. It took 10 years of research to perfect the roasting method as the steam produced has a tendency to make the skin crack wide open. When we first saw Cantaloupe Oolong, we were immediately struck by the beauty both of the overall shape and of the gorgeous zigzag lines one can see on the outside (the more lines, the sweeter the tea). A very interesting and rare find, said to have antecedents in the ancient agrarian culture of the Hakka ‘guest people’. It is definitely worth vintaging if you can bear not to drink it straightaway! 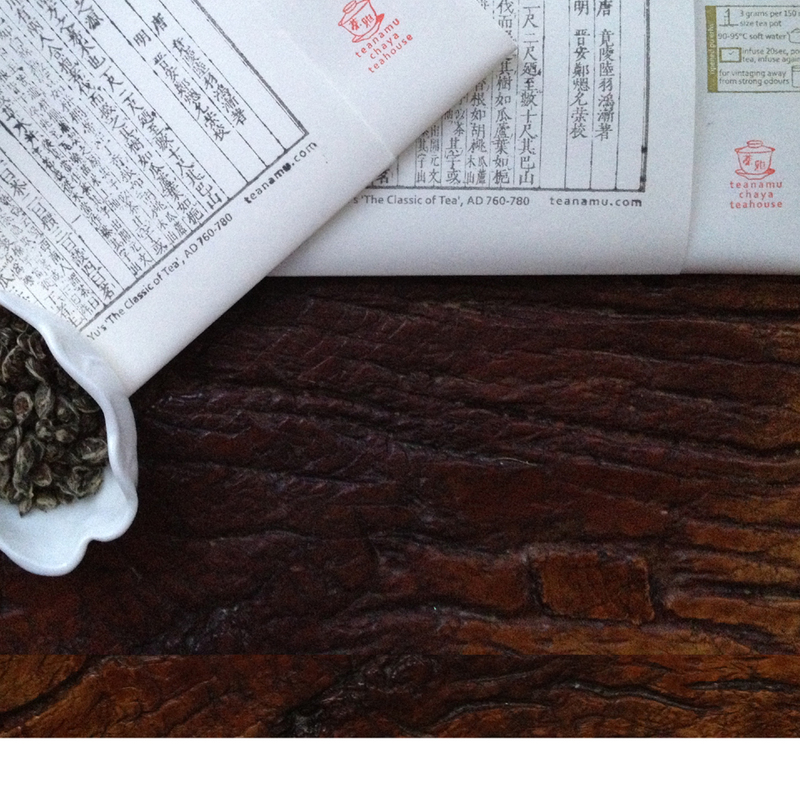 We encourage you to visit chaya teahouse to select your own cantaloupe oolong. Thus, this tea available for collection at chaya teahouse.